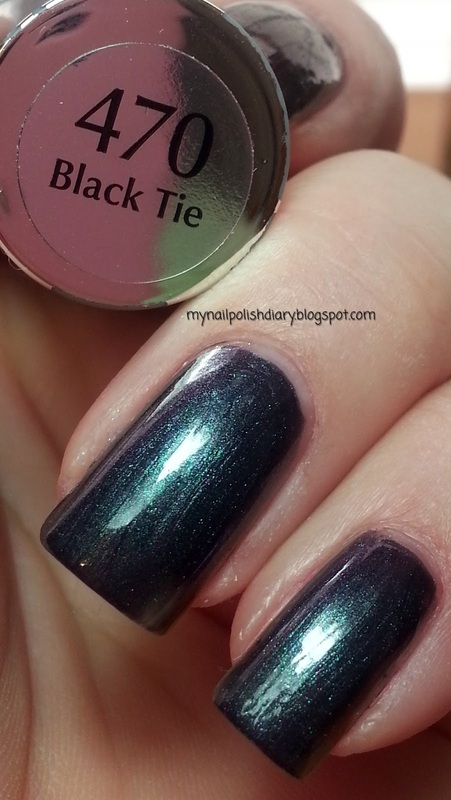 Sally Hansen Black Tie is a Black-Teal-Purple multichrome. I didn't really capture the three shade shifts in the picture, but it's there. This polish is really gorgeous. It wears and applies beautifully. For me, it's a little harsh with my skin tone, but I'll wear it anyway because I just love it.